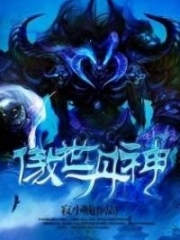 You’re reading novel King of Gods Chapter 246 - Secret Mission online at LightNovelFree.com. Please use the follow button to get notification about the latest chapter next time when you visit LightNovelFree.com. Use F11 button to read novel in full-screen(PC only). Drop by anytime you want to read free – fast – latest novel. It’s great if you could leave a comment, share your opinion about the new chapters, new novel with others on the internet. We’ll do our best to bring you the finest, latest novel everyday. Enjoy! In the forest, amidst the lightning and rain. The escaping group from the Broken Moon Clan were soaked, but not a sign of unhappiness were on their faces. On the contrary, it was filled with joy and surprise. When the expert at the True Spirit Realm had descended, they thought they would die. However, their deaths didn’t occur and it was all because of that youth. Zhao Feng’s breathing was rapid and his face was paler than before. However, his expression was still calm and his eyes continued to sharply inspect the area. At this moment, although everyone gazed towards Zhao Feng as if they were looking at a monster, their eyes were filled with respect and grat.i.tude. Zhao Feng gently said as he led the way at the front. The entire group continued to run under Zhao Feng’s command, and although the latter was feeling weak, the speed he traveled at wasn’t slow. Two hours…. Half a day…. One day one night…. Zhao Feng barely rested and squeezed the energy out of the group. Following this path, the group didn’t come across any dangers. Not a single Yao beast was encountered. Although the group’s mind started spinning as they entered the maze-like forest, Zhao Feng who was at the front was calm and composed. His left eye gleamed with an azure light as though he could see through everything. Whenever the path seemed like a dead end, Zhao Feng would surprised them. Yang Gan thought that this had something to do with Brother Zhao’s bloodline power. Under Zhao Feng’s command, everyone was allowed to rest for half a day. The group was exhausted, and Ran Xiaoyuan as well as Lin Fan who had weaker cultivations had almost fainted. The short elder before had been severely injured and his body was almost fully destroyed. If he didn’t recover quickly, it could leave permanent injuries on him. Due to the fact that the Iron Dragon Country was cleansing the Thirteen Clans, the most they could do to deal with Zhao Feng was to send one expert at the True Spirit Realm to kill him. Thinking up to here Zhao Feng’s heart was full of confidence. After resting for a while, they had mostly recovered and their faces looked better. Yang Gan was full of worry. After the death of the Broken Moon Clan Master First Elder had become the core of the clan. Additionally, due to Hai Yun Master’s betrayal, the Broken Moon Clan’s strength decreased ma.s.sively. Zhao Feng’s G.o.d’s Spiritual Eye focused in a certain direction and sent out a wisp of azure light that contained mental energy, it seemed to be able to reach the other side. Unknowingly, the group felt safe when they heard Zhao Feng’s words. Zhao Feng however, was still worried. Alive. But this didn’t mean that they had escaped nor that they were safe. Being an expert at the True Spirit Realm, the people pursuing First Elder and Granny Liuyue would be much stronger. At this moment, Zhao Feng’s authority was unshakable. Yang Gan looked deeply at Zhao Feng as the others followed the path back to the Broken Moon Clan. Only Zhao Feng and Vice Head Li was left behind. Before they left, Ran Xiaoyuan and Lin Fan were full of care and worry. It wasn’t hard to imagine why the strongest two of the group were left behind; they stayed behind in order to help First Elder and Granny Liuyue. The reason as to why Zhao Feng left Vice Head Li behind was that he was trustworthy and his strength was close to his own. If First Elder and Granny Liuyue were pursued by someone of the True Spirit Realm the two of them could help a bit. Zhao Feng immediately chose a direction as though G.o.d was guiding him. Vice Head Li followed silently behind. He didn’t have any ill feelings but felt as if he understood something in life. Back then Zhao Feng had only just become an inner disciple and was a youth struggling at the bottom of the Clan. But now, just a while later, the youth had risen above him. Every decision Zhao Feng made made him feel confident and safe. The two arrived at a cliff. Zhao Feng jumped off the cliff and began to fly. With the help of the Yin Shadow Cloak, he was able to fly for a short amount of time. Being at the half-step True Spirit Realm, Vice Head Li could also do this and closely followed behind. Tens of breaths later Zhao Feng and Vice Head Li arrived at a concealed cave. Right at this moment, an aura of the True Spirit Realm descended which caused Vice Head Li’s heart to shake and reveal an expression of fear. Zhao Feng’s voice traveled inside the cave and the aura instantly disappeared. A cough came First Elder who was within the cave. Zhao Feng and Vice Head Li entered the cave was stunned by the scene. First Elder’s face was dry and his hair was white. His body was dyed in dried blood and his right arm was dismembered. Vice Head Li gazed at the area where the right arm should be. From this scene, one could imagine how terrifying that battle was. Zhao Feng silently walked in front of First Elder. First Elder’s face was filled with praise but his voice was slightly weak. Vice Head Li then told the story of their escape which caused First Elder and Granny Liuyue to be overjoyed. First Elder and Granny Liuyue exchanged glances and seemed to be discussing something. First Elder and Granny Liuyue both nodded their heads as if they had come to an agreement. Zhao Feng felt that his destiny was being discussed by the two. After First Elder’s injuries were slightly better, he called Zhao Feng to one side. First Elder’s expression was solemn and his eyes were full of hope and expectation. Zhao Feng didn’t ask what the mission was. After the merging of the G.o.d’s Spiritual Eye, he had become calmer and colder but his emotions didn’t change. First Elder was one of the most important people in his life and had protected him in the Clan. This time, First Elder had put his life on the line and had lost an arm in order to protect Zhao Feng and company. Even if it was for grat.i.tude, Zhao Feng would agree to his Master’s demands. Furthermore, Zhao Feng was sure that what Master asked would be for his own good. First Elder looked deeply at Zhao Feng. There was no need for words. He knew what his disciple was like from a simple action. He felt even more lucky for such a good disciple. There would be no regrets. Zhao Feng nodded his head and guessed within his mind. Zhao Feng confirmed his guesses. The current situation was pretty grim for the Thirteen Clans. After defeating the Sky Rich Country, the Iron Dragon Country was still able to send forces to fight the Thirteen Clans. The control of the situation caused others to feel cold. This meant that the Thirteen Clans was only hit by the remains of the battle between the two countries. This place wasn’t even a warzone, it couldn’t even be considered a battlefield. Zhao Feng didn’t know much of the situation apart from the Sky Cloud area. Small countries, Strong countries, Great countries. A picture appeared in Zhao Feng’s mind. The Thirteen Countries were definitely small countries, unimportant to anyone. No small country was able to block strong countries. The Clans in the Iron Dragon Country could easily crush the Thirteen Clans. However, countries as strong as the Iron Dragon Country and Sky Rich Country weren’t at the peak. Because above them were Great countries. First Elder smiled as he answered. He then took out a map of the Northern Continent. THe map was filled with zones and areas. Zhao Feng copied the map with his left eye and finally found the Thirteen Countries at the right bottom of the map, their territory was the size of a dot. However, strong countries such as the Iron Dragon Country and Sky Rich Country had obvious markings. As he spoke up to this point, First Elder’s words turned[c]. You're reading novel King of Gods Chapter 246 - Secret Mission online at LightNovelFree.com. You can use the follow function to bookmark your favorite novel ( Only for registered users ). If you find any errors ( broken links, can't load photos, etc.. ), Please let us know so we can fix it as soon as possible. And when you start a conversation or debate about a certain topic with other people, please do not offend them just because you don't like their opinions. You're reading King of Gods Chapter 246 - Secret Mission. This novel has been translated by Updating. Author: Fast Food Resturant,快餐店 already has 10947 views. Current Time is Apr-23-2019 22:23:50 PM.